Halloween is almost upon us! I’m sure there will be great sights and frights over the weekend, as little ghosts and goblins start to appear. So I thought we’d wrap up with week with some of my favorite Halloween sweets, styles and treats for the year. From gothic glam to wicked fun and creepy-crawly things that go bump in the night… it’s a Black and White Halloween Round UP! Put down the knife and grab a paintbrush to create these bold, graphic pumpkins. Learn how to make your own black and white painted pumpkins HERE at Country Living. It’s not too late to BOO your neighbors! Don’t worry, Halloween BOO-ing is a good thing! Download this ultra-glam, black and white BOO sign HERE at The TomKat Studio, for FREE! Ready for a little wicked fun? These bewitching Halloween treats will leave you spellbound. Every cupcake needs a costume, and this one definitely seemed to be a hit! Had to include our Cupcake Liner Witch Hats that went viral on Pinterest. 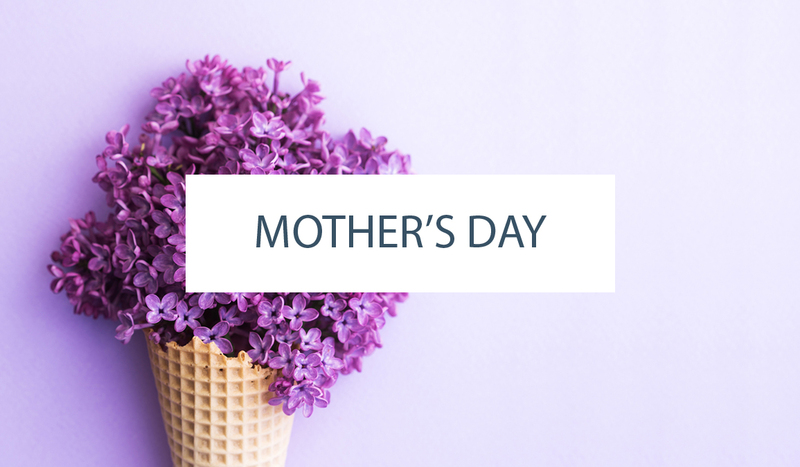 So break out your scissors, extra baking liners and get started! Find our super easy tutorial HERE on Half Baked. A witch’s spells are pulled from her book and transformed in to a captivating paper wreath. 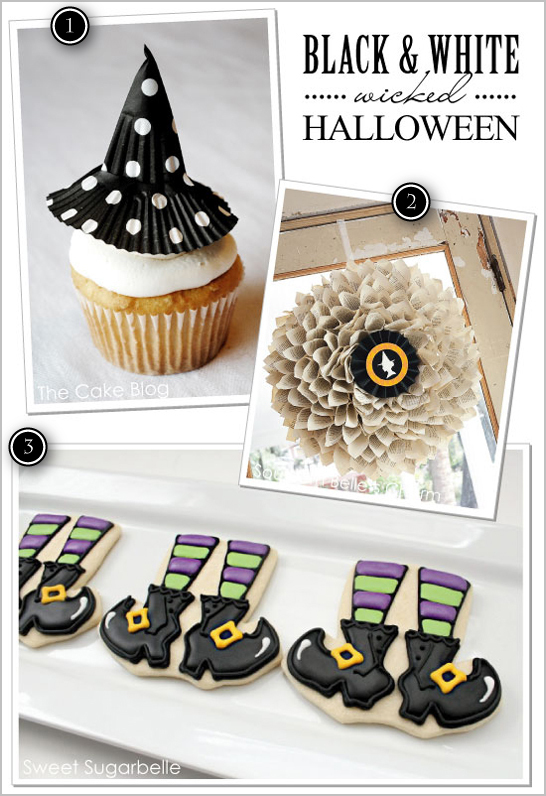 Created by Southern Belle’s Charm for a Bewitching Halloween Party by Frog Prince Paperie. See the enchanting dessert table and wickedly mod cake HERE. See the entire party HERE. Once again, we’re mesmerized by the clever craftiness of Sweet Sugarbelle. These witch-y cookies have us charmed! Learn how to make these Leggy Little Witch Cookies HERE. These pitch-black macaroons by Les Madeleines look sinfully good. 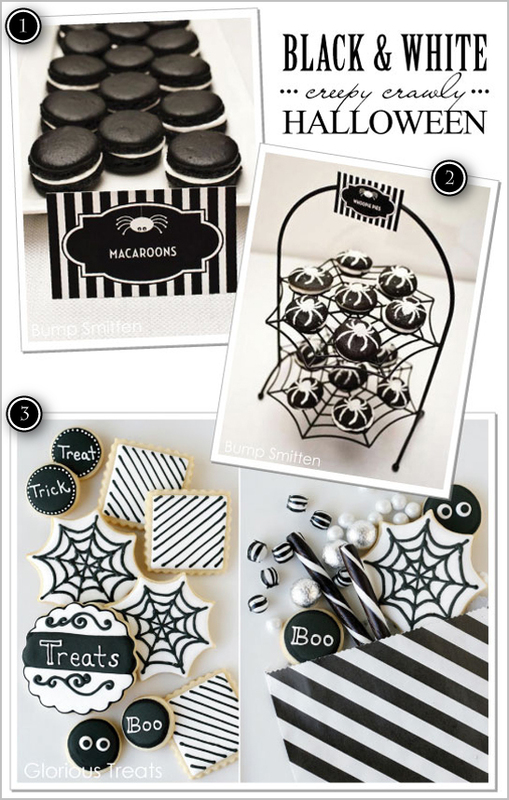 Created for an playfully fun Itsy Bitsy Spider Party by Bump Smitten. Long legged spiders dusted onto black whoopie pies, served up on a cobweb… it doesn’t get much better than these creepy-crawly treats created for an Itsy Bitsy Spider Party by Bump Smitten. See the full party HERE on HWTM. Eerie little eyes are watching you… BOO! These black and white cookies by Glorious Treats are frightfully fun! Learn how to make these elegant but spooky Halloween goodies HERE. Hope you have a spook-tactular Halloween weekend filled with adorable costumes, delicious treats and some good frights! Happy Friday! I love the black and white pumpkins!!! Different and less messy way too have spooky pumpkins! So many gorgeous black and white ideas!! Love them all! LOVE those little witch leg cookies!! I made your cupcake liner witch hats and they were such a hit! Thank you for the easy and creative idea!! 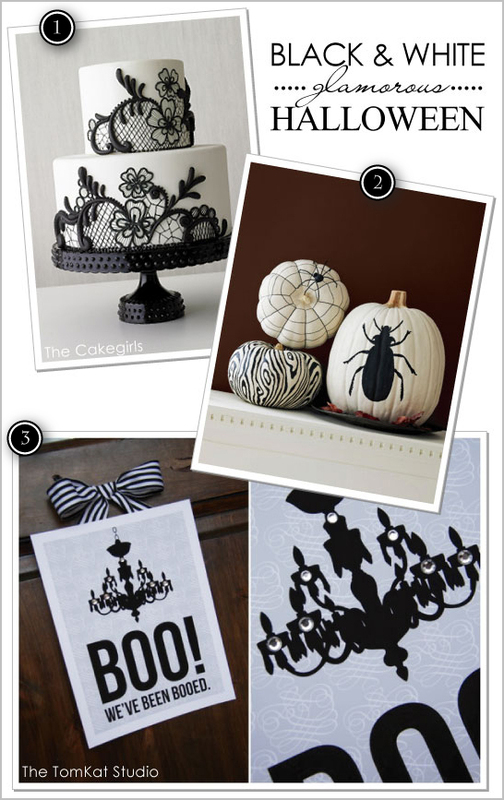 I really love your black & white Halloween ideas, because I hate the color orange and I’m always looking for great ideas using other Halloween colors. Thank you! 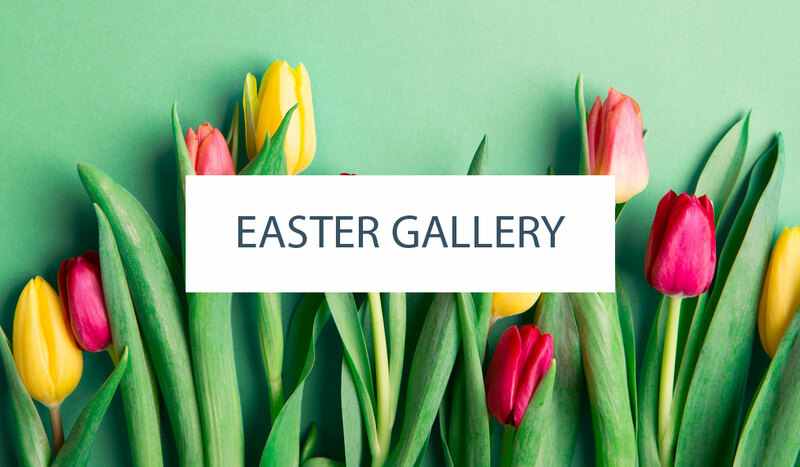 I just found your blog and I’m already in love!! And these Black & White Halloween cookies are just beautiful!! Love black and white for Halloween! Happy Halloween to you! I ♥ this! Happy Halloween! I love the macroons! Too cute! I think the paper wreath is amazing and would love something like that for Christmas this year!